Folks: I've figured it out. 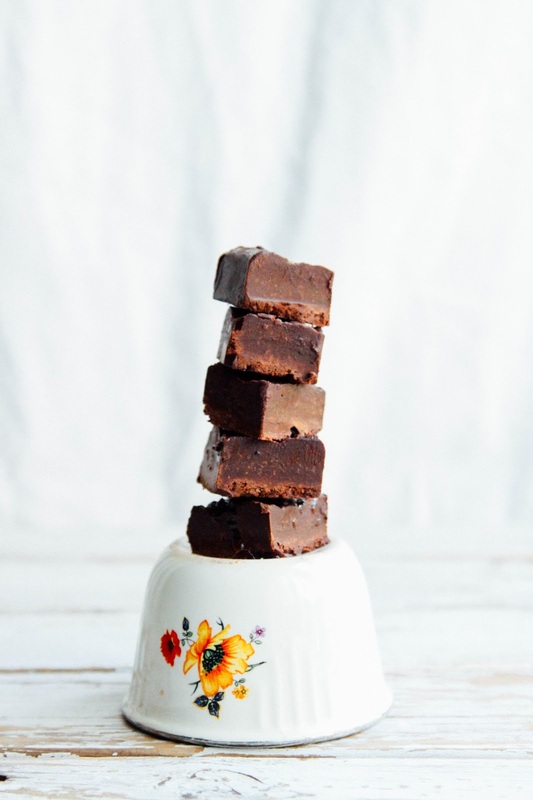 The secret is using brown rice syrup, it is very thick at room temperature so it gets gooey when refrigerated and makes the perfect sweetener for easy vegan fudge. The ingredients, amounts and instructions here are like my chocolate recipes, but the brown rice syrup makes the final product chewy - fudge! - instead of totally solid. 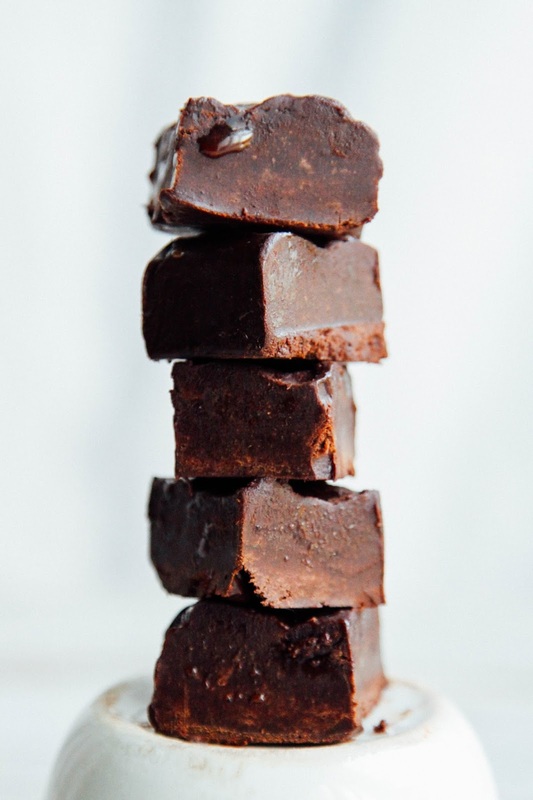 To make the fudge: melt the coconut oil then stir all the ingredients together until you have a smooth, thick chocolate batter. If it's too sweet, add more coconut oil or cacao powder. If it's not sweet enough, add more brown syrup. Add some salt and/or vanilla if you like. Spread evenly into a lined pan and leave in the fridge until solid, it should take an hour or less. Enjoy! Gosh! This seems so gooey, so delicious! I made this as soon as the email came through this morning and just tried it now. It is amazing! I added a a swirl of peanut butter on top (because, well I'm a little obsessed with peanut butter) and it went perfectly, so much gooeyness! I think I'd rather have the fudge from your choc fudge pecan bars any day. Coconut Nectar has the same consistency as rice syrup with less issues I believe. I made it with the coconut nectar and it came out great! Thanks, Emily, for the recipe!!! Date syrap is a great alternative, if you don't wanna use rise syrap, J! How about some maple syrup? Honey? How about maple syrup? Agave? I used the date syrup and experimented with maple syrup and date together (the real maple syrup, not the processed "stuff"). Both turned out great. Then I added the peanut butter swirl Rhiannon commented on. I have died and gone to fudge heaven!!!!! I used a combo of maple syrup (real stuff) + date syrup Rebecca recommended, instead of rice syrup (not my fav). I also used the peanut butter swirl Rhiannon recommended too. I have died and gone to fudge heaven!!! Do you think molasses would work pretty well instead of the brown rice syrup? Ooh love the simplicity of this: might try it with carob as taking a break from cacao. A combo of raw and roasted carob might work Will let you know! I was expecting this to be good but wow. This is REALLY good. I used raw blue agave syrup and it came out great! Made a half recipe and split it with my boyfriend. Yum!